22-year-old Dental student Jayaraj Gedela has enlisted for Fjällräven Polar, a 300-kilometre journey across the Arctic on sled dogs. HYDERABAD: As of now, extreme sports are usually not taken seriously in our country, and those wishing to take part in them cannot expect any meaningful support from the state. Seeking to change this perception among people and also to pursue his passion of off-road racing, 22-year-old Dental student Jayaraj Gedela has enlisted for Fjällräven Polar, a 300-kilometre journey across the Arctic on sled dogs. 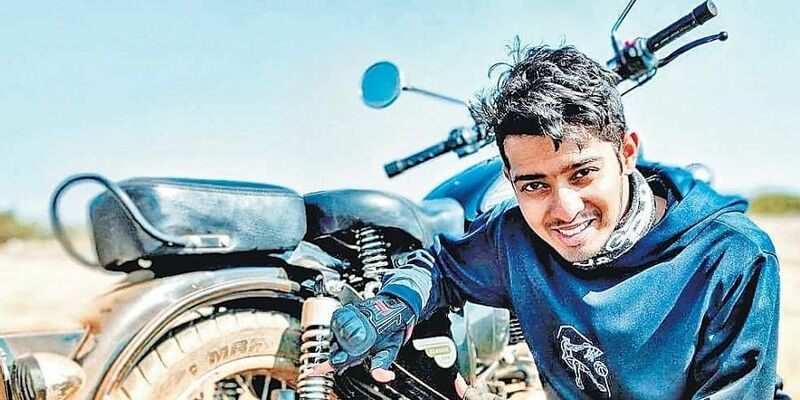 Earlier, this collegian had embarked on a 15-day solo trip from Vizag to Varanasi in 2016. “The expedition changed my outlook towards life. I was overwhelmed by the humanity of people who had helped me in various ways along the route”, he says. Fjällräven Polar began in 1997, and since then, has been holding yearly expeditions. Fjällräven Polar 2019 is slated to be held from April 8 to April 13. Voting is ongoing and ends on December 13, 2018. Based on the country of citizenship, candidates are placed into 10 ‘Regions’ and each person who secures the most number of votes in that particular region would be shortlisted for the expedition. Also, a jury from the organising team would select a candidate from each region based on his/her profile. The results would be announced on December 14. The organisers would be sponsoring the flight tickets and all the winter gear for the winning candidates.